Jonah McDonald grew up in Memphis, Tennessee, where he learned his love of the south, barbeque, and the blues. Upon graduating from college with a BA in history and religion, he decided to embark on a pilgrimage–hiking the entire Appalachian Trail. After six months and 2,172 miles on foot, Jonah completed the Trail and settled in Atlanta and became a Montessori middle and high school history teacher. He soon developed an integrated wilderness program at his school, teaching wilderness skills and leading day hikes and backpacking trips for teens. After five years of teaching, Jonah decided to set out on his own, starting Sure Foot Adventures. 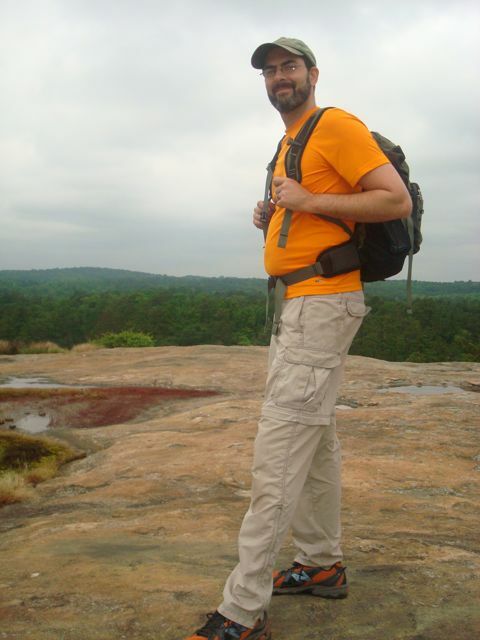 He now helps schools around Atlanta develop their own wilderness programs and leads trips with all ages. Jonah is trained as a Wilderness First Responder and is certified in Wilderness First Aid and Professional CPR. Since the Appalachian Trail, he has gone on many adventures, including two multi-week trekking expeditions in the Alaskan Arctic, bicycling the Camino de Santiago across northern Spain, and hiking the Colorado Trail, the Bartram Trail, and the Benton MacKaye Trail. Jonah is also a professional storyteller and is an active member of the Southern Order of Storytellers. He loves throwing boomerangs, reading, and bicycling. Together with his wife, Dana, he raises chickens in his backyard and exults in nature, exercise, and playing basketball. 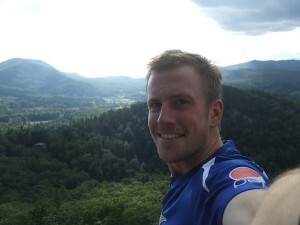 Ben Fowler, a native of Atlanta, GA, is a graduate of the University of North Carolina in Asheville. His passion for the outdoors began at a young age in the mountains of Dahlonega as a student under Mark Warren, a naturalist and director of Medicine Bow, a “primitive school of earthlore.” While in Asheville he continued his pursuit of outdoor education and worked for the university’s Outdoor Recreation program. As a trip guide with UNC-Asheville, Ben was able to travel across the Southeast rock climbing in the New River Gorge of West Virginia and paddled canoes as far south as the Everglades National Park. Ben began working as a guide for Sure Foot Adventures in 2012. He was immediately attracted to Sure Foot because of the opportunities “for adventure, outdoor education, and transformational experiences it provides people of all backgrounds and allows them to ‘wake up’ from urban life and feel life out-of-doors.” He has a keen passion for rock climbing and wilderness primitive skills. Ben holds certifications as a Wilderness First Responder of WMI, American Red Cross Lifeguard, and participated in the American Canoe Association Level 4 Swift-water Rescue Course.